Los Angeles (June 12, 2018) – The Walt Disney Studios and ScreenX have set Marvel Studios’ “Ant-Man and The Wasp” for a release in the panoramic, premium cinema technology format, it was announced at CineEurope in Barcelona, Spain. “Ant-Man and The Wasp” is set to premiere around the world beginning July 4. The announcement follows the successful release of Marvel Studios’ “Black Panther” in ScreenX, the world’s first multi-projection system that provides a 270-degree film viewing experience. “Watching ‘Black Panther’ move through Wakanda and Busan in the panoramic format was a thrilling experience, and we are excited to see ‘Ant-Man and The Wasp’ magnified in this transformative, bigger-than-life format for audiences,” said Victoria Alonso, Executive Vice President, Physical Production, Marvel Studios. In the past 12 months, ScreenX has seen a surge in the number of ScreenX installed auditoriums, which have grown from 107 to 142, a 33% increase year-over-year. Additional screens are expected to be equipped with the unique technology across China, the U.S. and Europe in the coming months, expanding current total screens by more than 30% by the end of 2018. This includes a deal with B&B Theatres announced earlier this year at CinemaCon 2018 that will bring four new ScreenX locations to the U.S. through 2019, including the largest ScreenX experience in the world opening soon in Kansas City. “Disney and Marvel Studios continue to be a pleasure to work with, as we collectively look towards the future of cinema by making innovative experiences available to movie fans around the world. 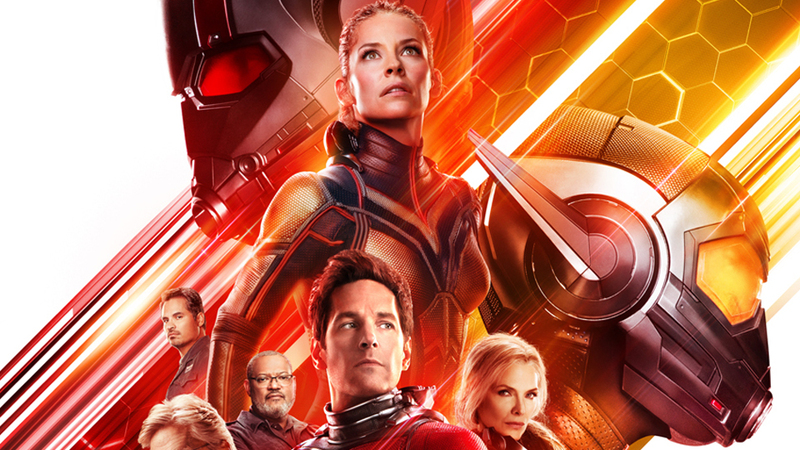 Building on ‘Black Panther’s success in ScreenX, we expect great things this summer with ‘Ant-Man and The Wasp’ taking on our multi-projection, panoramic technology,” said Byung-Hwan Choi, CEO of CJ 4DPLEX. From the Marvel Cinematic Universe comes “Ant Man and The Wasp,” a new chapter featuring heroes with the astonishing ability to shrink. In the aftermath of Captain America: Civil War, Scott Lang grapples with the consequences of his choices as both a Super Hero and a father. As he struggles to rebalance his home life with his responsibilities as Ant-Man, he’s confronted by Hope van Dyne and Dr. Hank Pym with an urgent new mission. Scott must once again put on the suit and learn to fight alongside The Wasp as the team works together to uncover secrets from the past. ScreenX is the world’s first multi-projection system designed to enhance the cinematic immersiveness of the theatre setting. It was created in 2012 by CJ CGV, part of South Korean conglomerate CJ Group, as one of the company’s industry-changing “next cinema formats”, alongside 4DX, the global-leader in multisensory cinema technology with motion and environmental effects. ScreenX allows moviegoers to experience beyond the frame of the movie screen by utilizing a proprietary system that expands images of feature films and pre-show advertising to create an immersive, panoramic, 270-degree format that projects onto three walls of theaters. To date, ScreenX has been installed in over 142 screens around the world, including 86 screens in South Korea; 44 screens in China; 3 in the United States; 4 in Turkey; 2 in Vietnam and 1 in Thailand, Japan, and Indonesia. CJ 4DPLEX is the world’s first 4D cinema company, headquartered in Seoul with international offices in Los Angeles and Beijing. The company created 4DX, the first and leading 4D cinema technology for feature films, providing moviegoers with an immersive cinematic experience that utilizes all five senses, allowing the audience to connect with movies through motion, vibration, water, wind, snow, lightning, scents, and other special effects that enhance the visuals on-screen. CJ 4DPLEX brings 4DX auditoriums to exhibition partners along with 4DX codes for both major Hollywood blockbusters and local titles. Each auditorium incorporates motion-based seating synchronized with more than 20 different effects and optimized by a team of skilled editors, maximizing the feeling of immersion within the movie, beyond the limits of audio and video. Since 2009, more than 520 Hollywood and local titles have been screened in 4DX. As of May 2018, more than 62,800 4DX seats operate in 524 auditoriums spanning 59 countries. CJ 4DPLEX was named a Most Innovative Company of 2017 in Live Events by Fast Company, and its technology has been recognized with silver Edison Awards in the Media and Visual Communications-Entertainment category in 2015 and 2018. For more information, please visit www.cj4dplex.com.